God's Glory - Adventures with the Tuleys! Praising God the final biopsy results are benign!! 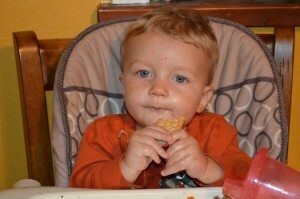 Also thankful Josiah was able to start taking bottles again and ate some applesauce, so the feeding tube is out! Still praying for the infection to clear, fever to be gone and to get the hormones balanced out. As I was looking back at this day, I remembered Nathan’s e-mails to family and friends back when we first learned of Josiah’s tumor. 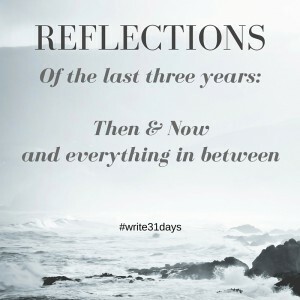 I love Nathan’s perspective, and feel strongly his voice needs to be included in my 31 days of reflections as well. So here’s his first one, written the day of Josiah’s MRI. As I replay todays events in my mind over and over I have so much to share; yet find myself struggling to put my thoughts and feelings into words. I have honestly stared blankly at the screen for several minutes. Let me start with a few of the events that led up to today. Towards the beginning of August Amy and I started noticing that Josiah, now 10 months old, would tilt his head down slightly and look up at us. It indeed makes him quite the handsome little guy when he does this. I called it his Flynn Ryder look from the movie Tangled. A couple of weeks later during Labor Day weekend we started noticing that his left eye would twitch slightly when he would give us “the look”. The following week we took him to the eye doctor just to make sure everything was ok. The eye doctor said his eyes appeared to be functioning correctly and that eyes twitching at his age was not uncommon, however it is usually both eyes and not just one. As a result she referred us to an eye specialist who suggested that we get an MRI as the problem causing just his left eye to twitch could very well be in his brain. This brings us to today. This afternoon Josiah had his MRI appointment. The results were anything but what we expected. Josiah has a mass roughly the size of a golf ball located in the center of his brain. He is scheduled to have surgery next Wednesday, October 3rd. The neurosurgeon said it would be at least a six-hour surgery, and he will need to stay in the hospital three to five days following the surgery. At this point we do not know the severity of the mass and what it means for his future. Best case scenario is that the mass is not cancerous, and the surgery would take care of it and nothing further would need to be done other than checking periodically in the future to verify it has not grown back. Worst case scenario is that the mass is cancerous. If this is the case then we will be looking at chemo and other forms of future treatment. As I struggle to understand what God has planned for our family I am reminded of a few scriptures from His word. Ecclesiastes 11:5 – “ As you do not know the path of the wind, or how the body is formed in a mother’s womb, so you cannot understand the work of God, the Maker of all things. ” Isaiah 55:9 – “ As the heavens are higher than the earth, so are my ways higher than your ways and my thoughts than your thoughts.” While I may not always understand the plans God has, I take comfort in knowing that He has something far greater planned than I could ever imagine. Romans 5:3 – “ Not only so, but we also rejoice in our sufferings, because we know that suffering produces perseverance; perseverance, character; and character, hope. ” James 1:2-4 – “ Consider it pure joy, my brothers, whenever you face trials of many kinds, because you know that the testing of your faith develops perseverance. Perseverance must finish its work so that you may be mature and complete, not lacking anything. ” 2 Peter 1:5-7 – “ For this very reason, make every effort to add to your faith goodness; and to goodness, knowledge; and to knowledge, self-control; and to self-control, perseverance; and to perseverance, godliness; and to godliness, brotherly kindness; and to brotherly kindness, love. ” While I am struggling to consider it pure joy as my faith is being tested I am rejoicing in God’s infinite wisdom and power; knowing that He is in control. One final verse I would like to share is one of my all time favorite verses. Philippians 4:13 – “ I can do everything through him who gives me strength. ” I know that no matter the outcome I can find contentment and peace in Him who gives me strength. In closing I ask that you would join Amy and I in prayer for Josiah. 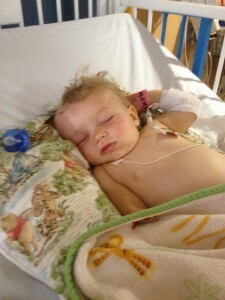 Pray that there are no complications with the surgery, and that they are able to remove all of the mass. Pray that the mass is free of any form of cancer. Pray that Josiah recovers quickly. Pray that Amy and I have the strength and faith our family needs. Pray that in all we do, we would do it for the glory of God. Pray that through this we would have opportunities to witness to others. Thank you for your prayers and support during this trying time in our lives. God has blessed us with amazing friends and family to lean on in times such as these. Thank you for being there for us. Amy and I love and appreciate you more than we could ever express. I anxiously await to see what God has in store for us in the days to come.